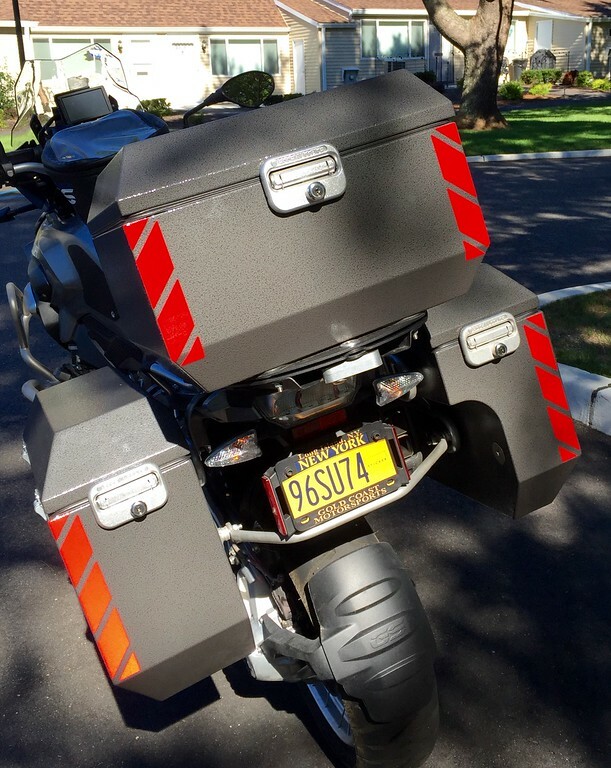 I have posted about Simon and Lisa before but here is a great interview Touratech did as they are in the USA now….this couple from the UK are amazing and probably been on the road the longest out of anyone on two wheels…read their story…inspiring! 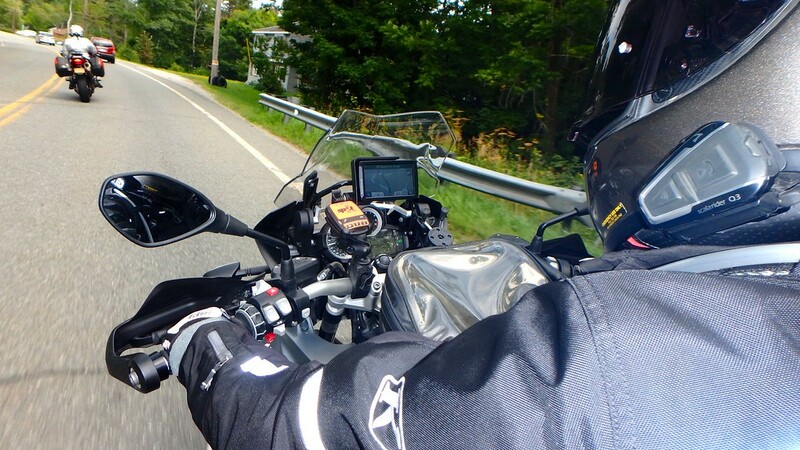 Simon: I learned to ride in the town of Taunton back in the UK with a friend who owned a motorcycling school. I looked at a bunch of different bikes but the R1100GS just looked so formidable. It looked different to anything else out there and of course it’s a BMW. 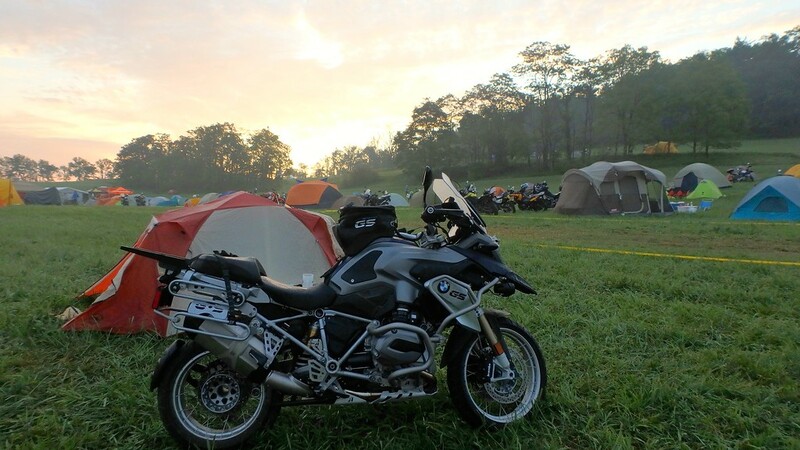 So my first bike was a BMW R1100GS in fact a little known truth…the only bikes I’ve ever owned are the R1100GS’s. People think I’m joking when I tell them that although I’ve now been riding for over 15-years. When we left on this journey I had only two days of off-road riding experience and little to no real mechanical experience. Isn’t ignorance bliss?! Lisa: I did a course just outside of London in Buckinghamshire in the UK when I was 16. At that time you didn’t need to take a course or even a motorcycle test…you were granted a provisional one automatically with your car license – up to 350cc if I remember correctly! My first bike was Honda C90! When Simon and I decided to both get bikes I re-did a basic learning course and took my motorcycle test as it had been a few years since I had ridden. What inspired you guys to travel? Simon: As a kid growing up as a family we’d travel Europe, my younger sister (Sally) and I just thought it was usual. We get back to school after the holidays to find our friends hadn’t left town. We’d just visited St Tropez or some unheard of part of Southern Spain. It was for us the norm’. Lisa: My mother and father were a big inspiration. Having travelled a lot when I was younger it really didn’t seem to be an unusual thing to want to do. I did (and still do) read an awful lot about other countries and have always enjoyed geography and learning about other countries. I also ‘love’ maps! Just getting them out and seeing all the different places…it just makes you want to go to them! How many motorcycles have you guys owned, and which is your favorite so far? 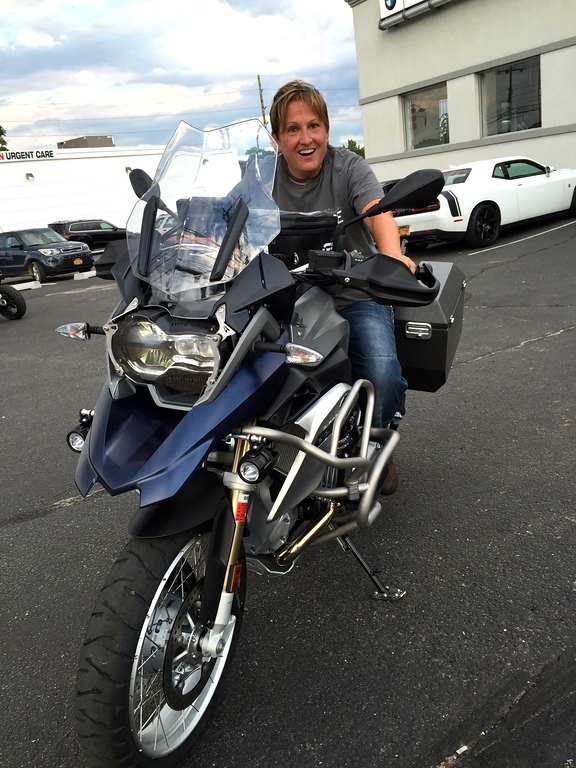 Simon: I’ve only owned three motorcycles, all of which have been BMWs. My frist was an R1100GS, which I crashed within the first month of owning it. I crushed my right foot in the process. Took me two years to recover! 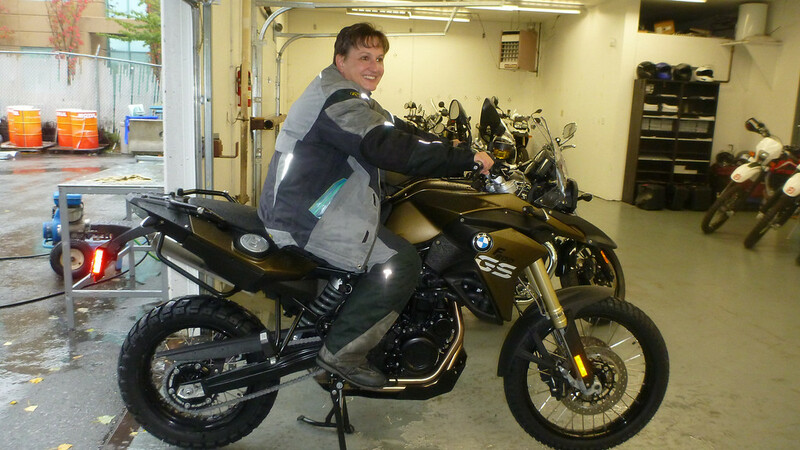 And then my second bike, also an R1100GS, was stolen just five days after I purchased it! But my current bike, an R1150GS Special, is by far my favorite. Lisa: I’ve owned a few bikes over the years. At one point I had a Honda CB500 that I shared with my “practice” husband. But my F650GS has been an amazing bike. I can always count on it. Simon: We actually found the Internet to be as big a hindrance as it was a help when we were trying to decide what we would need for our trip. There’s so much information out there, and everyone is extoling their solution as the absolute truth. We did notice that riders who had made big journeys had used gear from German-based Touratech. The catalogue back then was about 90 pages. The Touratech importer was in London, his name was John “Bunny” Hill. This brilliant man knew the gear inside out and had every part number and catalogue page reference memorized. In pre-trip frenzy mode, I suffered from a chronic case of “spendi-modification-itis.” The symptoms are easily recognizable. I ordered items that had no real world value, but I felt they made the bikes look cool. John simply refused to sell me those parts and educated me as to what was going to be of true value. John tragically died before we left, but his advice was spot on. Lisa: Both bikes have surprised us and carry on surprising us. When we look at the weight we’re asking them to haul, the unforgiving terrain we ask them to carry us across, not to mention altitude’s (Bolivia 17,200 feet, Silk Road Tajikistan 15,300 feet) and then consider that, alongside the minimal maintenance they receive and the liquid we’ve poured into them, that’s laughably been called ‘fuel’, well…we can’t imagine any other bikes that could have coped in the way the GS’s have and continue to do so. Simon: That’s a good question! It would be simple to wax lyrical and talk about the obvious geographical locations our bikes have taken us, but in reality, here it is. When I’m on my bike, I feel like I know who I am. My heads clear, the road or track is ahead and I have nothing to prove, to anyone. I’ve come to the realization that, yeah, I am a biker. I feel happiest when I’m astride my bike, feeling the vibrations increase as the engine rev’s through its range before that famous clunk of the BMW gearbox, notes the next gear. Lisa: I really feel the same way as Simon does. Life on a motorbike is not always easy but it clears ones head and makes you realize that there is such a lot of beauty in the World which requires time to view …and smell! A whole different World is experienced when travelling on a motorbike – it really makes you feel alive. What’s the longest you’ve spent in the saddle – miles and hours? 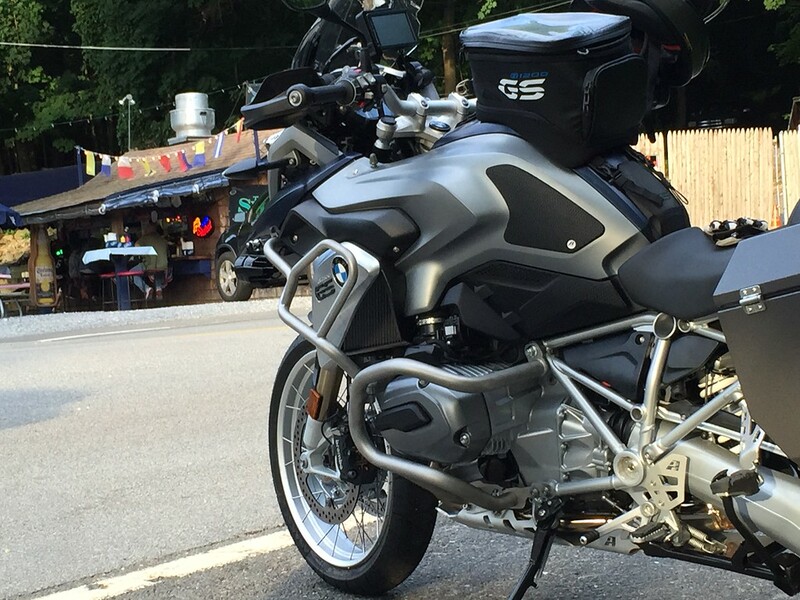 Simon: I rode 2,500 miles in two days – from San Francisco to Grass Roots BMW in Missouri. Lisa: I once spent 23 hours in the saddle, riding 1,615 miles from Northern Italy to Southern France. Simon: The best places are the ones that have left a mark on us – the Sahara, the Atacama Desert in Bolivia, Mongolia, etc. Lisa: I agree with Simon. The Sahara was terrifying, and the raw, unspoiled beauty of Mongolia was incredible. Those memories will last a lifetime. 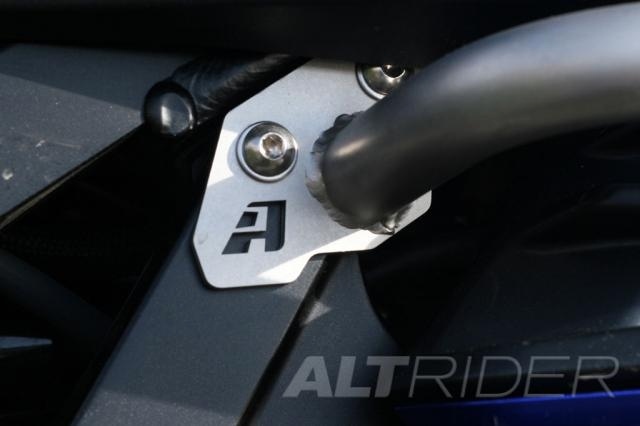 Any advice for someone new to the ADV community? Simon: Learn to ride slowly. The best riders can control their bikes at slow speeds. Also, choose your riding buddies carefully. Ride with people that are better than you, but make sure you ride your own ride. 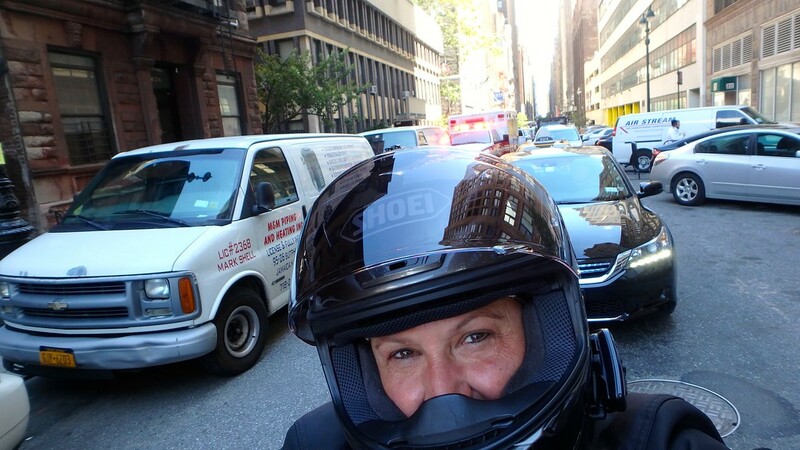 Motorcycling is not a team sport; when things go wrong, you’re on your own. Why take a motorcycle around the world? Why not an airplane or a hovercraft? Lisa: Because you’re not exposed to the elements in an airplane or a car (or hovercraft). In a car or plane, you’re shut off from the world around you. 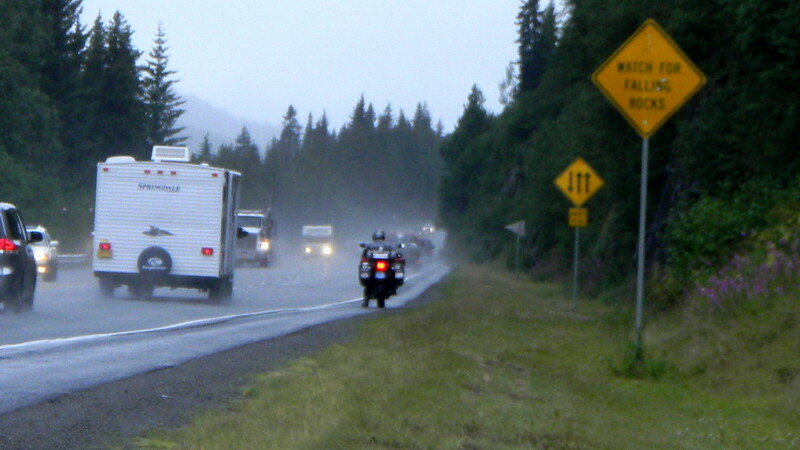 people are more willing to approach you when you’re on a motorcycle. You’re living it, smelling it and feeling it. A motorcycle is also a great conversation starter. It’s the perfect metaphor for freedom, no matter where you are. What’s the dumbest thing you’ve done on a motorcycle? Simon: During our time in Brazil’s Amazon Jungle, we were attempting to ride from the north to the south on a track that had not been ridden by large capacity motorcycles. On the second day things went very wrong as I fell from a rotten bridge and landed on my head. I was knocked unconscious, and it was a full five hours until I could stand unassisted. We spent four days repairing my damaged bike before riding the most grueling three weeks of our lives to reach a hospital. The diagnosis was a shock. My neck was broken in two places and dislocated. Emergency surgery saved my life. That said, if it had not been for Lisa’s strength, determination, and focus under extreme pressure, I doubt I would have made it out alive. Lisa: Probably my ego driven race through the Sahara with a French gentleman in short-wheelbase Land Rover Defender. We rode over the top of a sand dune at about 70mph. Somehow I managed to keep the bike upright all the way down the other side. The gentleman in the D90, however, burried the nose of his Land Rover upon landing! What’s next for Simon and Lisa? We’re currently travelling around the United States, hosting digital presentations at different BMW dealers. It’s been five years since we were in the States, and it’s good to see some familiar faces. If you’re interested in seeing one of our presentations, take a look at Touratech-USA’s events page for additional info. Click HERE to learn more about Simon and Lisa Thomas. Maybe it’s my math but riding 1615 miles in 23 hours calculates to a 70 mph average which would be impossible to do unless she was on a continuous freeway the whole time. Unless the story mistakingly published miles instead of kilometers which would be more believable.